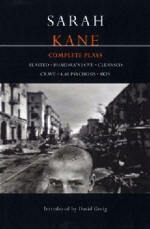 Sarah Kane plays are available in shops and libraries. You can also buy them from Amazon in America or Europe- click on the images. They are not available for downloading. The Complete Plays. The five plays plus the script of the television film Skin. 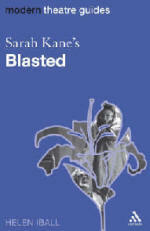 Graham Saunders offers an important study of Sarah Kane. 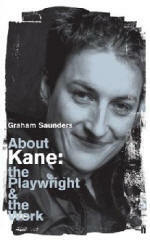 His survey includes a concise biography, in-depth analysis of Sarah Kane’s work, and interviews with Kane and those who helped to put her work on stage. For more plays, criticism, related books, CDs and translations click on the arrows below.